Dr. Darwish cofounded the first private Cytogenetics lab in Egypt and the Middle East in 1989. He is currently the director of the genetics lab , Faculty of Medicine , Cairo University . He is also supervising the genetics unit in the Central Labs of the Egyptian Ministry of Health , Banha specialized pediatric Hospital and Aswan teaching hospital. Regarding clinical genetic , Dr. Darwish is the genetic counselor for many major hospitals in Egypt , among them Al Salam International Hospital , Wady El Nile Hospital & Behman Hospital . • The Egyptian Society of Human Genetics (1977). • The Society of Genetic Diseases in Children (1986). • The Egyptian Society of Pediatric neurology(1999). • The American Society of Human Genetics. 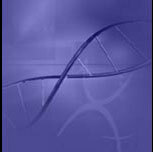 • The European Society of Human Genetics. • The Red Crescent Society. • The National Geographic Society. • Genetics unit- Cairo University Children’s Hospital (1981-….). • The Naval Medical Research Unit-3 (NAMRU-3) with a special emphasis on immunochemistry , molecular biology , tissue culture techniques (1995). • The Guthrie Institute of Medical Genetics , University of Glasgow with special emphasis on neonatal and prenatal screening (first trimester) (2001). • ABBOTT LABS in Toulouse , France with emphasis on microarrays and FISH techniques (2002).